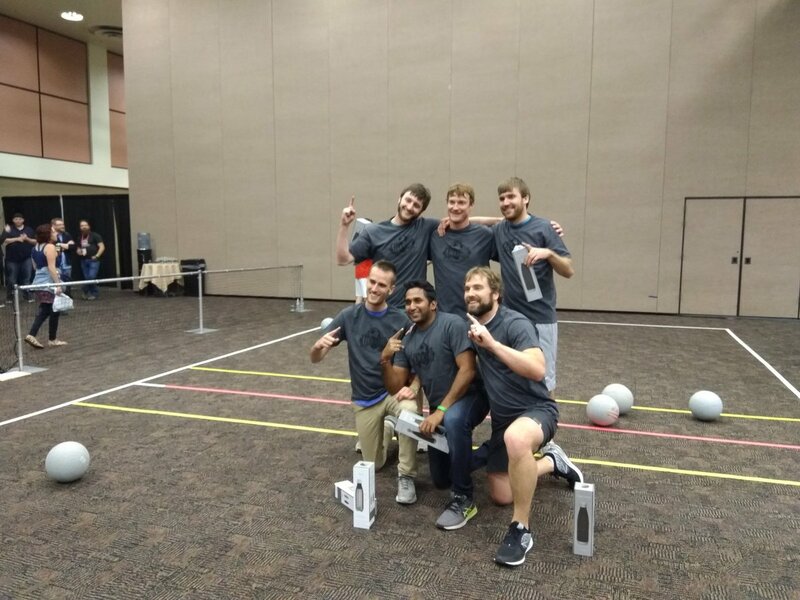 DevSummit kicked off pre-summit activities on Saturday, March 3rd with a 3-day SAP-Esri hack-a-thon when Team Brontosaurus took home the grand prize for their creative use of SAP and Esri tools using microscopes and machine learning to detect bacteria in drinking water. The hack-a-thon began on Saturday at the Riviera Hotel in Palm Springs, California. They were joined by several others from Critigen, Southern California Edison, UC Santa Barbara, Bolt Geographics and several other representatives from Esri Partners. On Monday, March 5th, Jack Dangermond announced this year's Esri Partner Conference winners at the EPC plenary. Engaging Communities— Working with governments and nonprofits to support community engagements and initiatives. Innovating Solutions with New Capabilities— Leveraging the latest capabilities of the ArcGIS Platform to create innovative solutions. Leading Web. GIS Transformations — Leading customers through their transition to Web GIS. Partnering to Lead New Strategies— Leading the market for new strategies, preparing the market, and implementing for success. Quick to Market— Configuring capabilities of the ArcGIS Platform to quickly develop and deliver new point solutions to market. Taking GIS to the Field— Implementing mobile solutions leveraging ArcGIS Apps for the Field. Turning Pro— Transitioning products and services to ArcGIS Pro. Other activities included pre-summit sessions, including a session with Christopher Catania and Sandi Peterson sharing the top ten tips for building online communities, which included learnings and experiences from growing the GeoNet community. The day continued as new and current members stopped by the GeoNet showcase area to sign-up, give feedback on the future GeoNet homepage, pick up some swag, share success stories and get tips and tricks from Michelle Mathias. It was great to spend time talking with Jeff Pace, Robert Scheitlin, GISP, Rebecca Strauch, GISP, and Blake Terhune, Stacey E Crowe, and Nick Floersch. And we hope to see more of you during the week! The day wrapped as Speedgeeking sessions sped through various developer projects and topics in the Santa Rosa room. We almost forgot one more fun part of the Monday pre-DevSummit events. Lightning Talks. What are the Lightning Talks? The Lightning Talks are 5-minute user submitted presentations showcasing successes in GIS with Esri products. Monday’s Lightning talks featured numerous presentations from Esri customers and partners. They included stories, fascinating facts and intriguing uses of GIS. 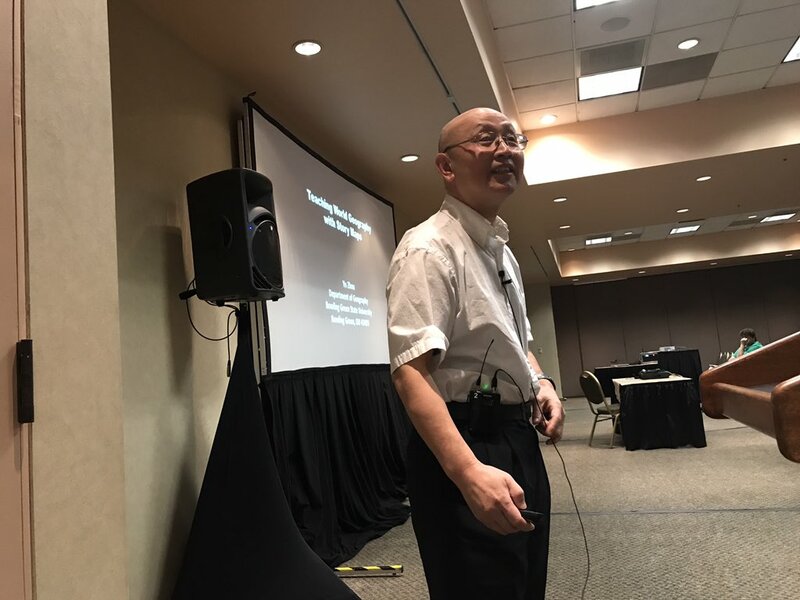 Professor Yu Zhou teaches Geography at Bowling Green State University and uses the ArcGIS mobile apps and story maps to engage his geography students. Raj Singh, IBM, shared a presentation using machine learning platforms to speed up the development of ArcGIS Applications using IBM Data Science. Plenary Live Blog, Daily Updates and More! DevSummit 2018 is right around the corner! This year we invite you to follow the action in the DevSummit space and connect with the GeoNet Community in Palm Springs. Check out the live blogging, daily updates and showcase meet-up details below. View the DevSummit plenary livestream and join the conversation as the GeoNet Team live blogs the event on the DevSummit Conference space. Follow the GeoNet team and guest contributors in the DevSummit space as we share daily updates including what we learn and experience throughout the week. Attending DevSummit? You can share your DevSummit experience by adding your comments to the daily update posts. Know a fellow Esri user who should join GeoNet? Bring them along. We welcome all to the Community. 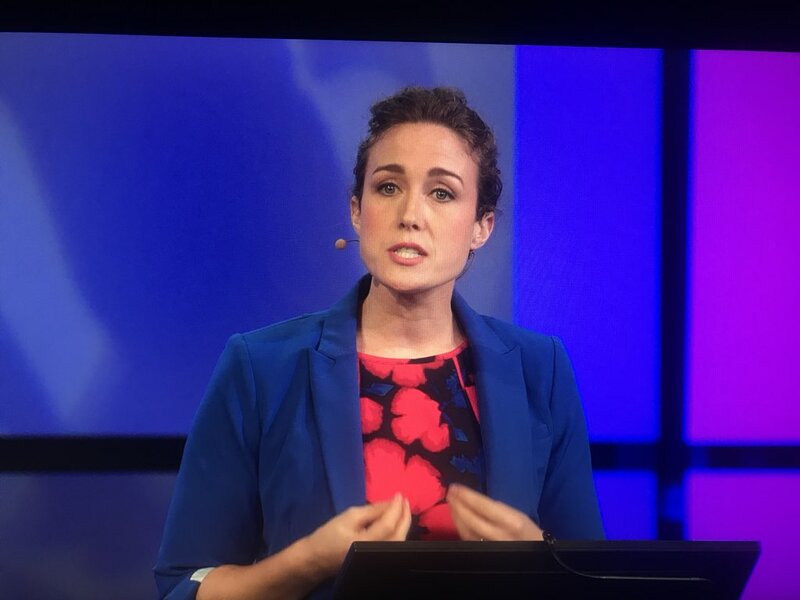 Follow @EsriGeoNet on Twitter for even more #DevSummit commentary. We look forward to connecting with you throughout the week.